Second stop, M Noodle Shop! No clue what M means.. In 90 degree weather and coming from Baba, we just had to make a quick stop at this new noodle shop on Metropolitan. What's the perfect dish for this weather? Cold sesame noodles. 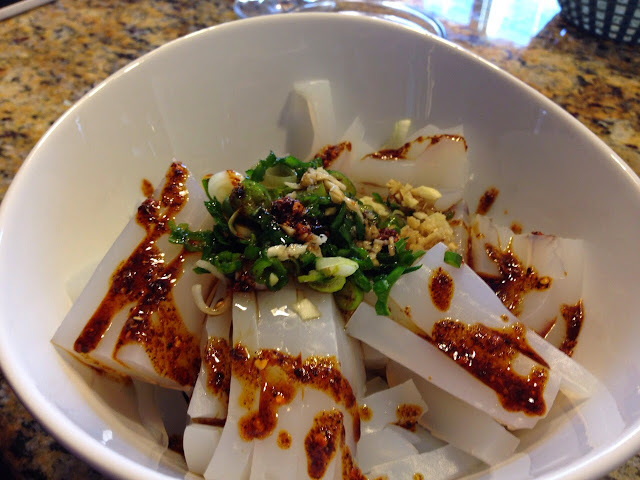 Rice noodles are tossed with peppers, cucumbers, carrots, and peanut sauce. To make this better drizzle chinese vinegar and sriracha on top.